Our hair plays a major role when it comes to our overall appearance. This is why many people spend a lot of time and money making sure that their hair is well taken care of. They spend money going to the hair salon, buying hair products, and even eating food that is good for the hair. Some even spend money to make sure that they are able to keep their hair intact, even as they age. This is why there are a lot of businesses out there offering hair care products and accessories to take advantage of the demand. But did you know that you can also benefit from this and make money as well? A company called Lilla Rose provides this opportunity. It’s a company that sells hair accessories and also offers an opportunity to make money through their MLM program. As one of their stylists, you get to earn commissions for every product that you and your team is able to sell. It’s hard to gauge the amount of money that you can earn, considering there are a lot of different factors involved in your earning potential. But is the opportunity that Lilla Rose offers really legitimate or is it just another scam that you should avoid? Lilla Rose is a company that sells various hair accessories like clips, headbands, and more. It was founded in 1992 by John Dorsey. The company also has an MLM program where you can make money selling the different products that they stock. You get to earn commissions for every product you and your downlines sell. Based on what I’ve seen so far, I can say that the opportunity Lilla Rose offers is pretty much legitimate. You can really make money selling the various hair accessory products that the company is offering. You will earn a commission for selling the company’s products. The percentage of the commission you earn will depend on how much you are able to sell. You can also get a commission if you have a downline and they make a sale. Despite being legitimate, there are also issues with this opportunity. One of the issues with Lilla Rose is that their product lines are not really something that people will need frequently. Another issue is that this type of opportunity focuses more on selling, which is a skill not everyone has. I’ll discuss these issues in more detail as we progress further in this review of Lilla Rose. Lilla Rose is designed for two types of people with one being those who are looking for affordable but quality hair accessories. The other type are people who are looking for opportunities to make money. The company has a variety of quality and affordable hair accessories that can be used for all types of hair. This makes Lilla Rose an ideal company to shop for your hair accessory needs. Though the products are more expensive than the regular accessories you see on your local store, the company makes up for it with quality and unique designs. The majority of Lilla Rose’s products are not just designed to keep hair in place or allow you to style it in a certain way, but it also serves as a decorative accessory fit for any occasion. The good thing about this company is that not only does it provide good quality products, but it also provides you with an opportunity to earn extra income if you need it. You just need to become one of their stylists and sell the different hair accessory products they have. You get to earn a commission every time you and your downlines make a sale. Becoming a stylist is simple but it will cost some money. In the next section, I’ll discuss in more detail the registration process of this opportunity as well as how the compensation plan works. Lilla Rose is a company that sells hair accessories and also has a money-making opportunity through their MLM program. As one of their stylists, you will earn a commission every time you or the people under you make a sale. The percentage of your commission will depend on the total amount you are able to sell in a month. To start making money with Lilla Rose, you first need to become one of their stylists. To do this, you can visit their website and click “Become A Stylist” to start your registration. Like any MLM opportunity, you will be required to invest some money and buy products and some marketing materials. The company offers two kits, one that costs $125 and the other one costs $625. Both kits will contain the same number of marketing materials you would need to start your business. Their difference would be in the number of Lilla Rose products that will be included in the kit. The more expensive option will also qualify you for the Fast Start Bonus. It is important to note that this opportunity is only available to permanent U.S. residents. Once you have decided on the kit that you want, the next step is to fill out the required details. You will also need to provide credit card details to pay for the kit you have chosen. Once you have submitted your registration and paid for your chosen kit, you can start making money. But before we proceed to the compensation plan, let’s first identify the different products the company offers. Lilla Rose has a variety of hair accessories to choose from. Their product categories include hair clips, headbands, bobbies, sticks, and pins. Each category has a variety of different styles and colors to choose from. The prices for each item will vary depending on the item and its style. Now that we have an idea on the kind of products being sold, it’s time to discuss the company’s compensation plan. Unlike a lot of MLM opportunities out there, Lilla Rose’s compensation plan is simple and easy to understand. You can earn a commission of 30% to 45% depending on the total value of your sales in a month. If you sell under $200 worth of products in a month, you get 30% commission from each sale. If your sales in a month are worth $201 to $500, your commission will be 35%. If your total monthly sales reach $501 to $1,000, your commission will be 40%. And once you achieve monthly sales of more than $1,000, your commission will be 45%. If you are able to recruit a person to join under you, you’ll begin to earn a 7% commission from the sales they bring in a month. If you can recruit 2 more people to join under you, you will get an additional 3% once they start selling the products as well. If you don’t want to be a stylist but want discounts or freebies, then you can choose to host a style up. This is basically a party where the stylist will show the different products available and allow your guests to try them on. You can earn free products and the value of the freebies will depend on how much the stylist is able to sell. You can also earn a 50% discount on select products. As a host, you will just provide the venue and be the one to invite the guests and the stylist will be the one to do all the work. As mentioned above, there are some issues with this opportunity that Lilla Rose is presenting. Chief among those issues is the fact that the products that the company offers are not really a necessity. Yes, people will buy them to help style their hair and make it beautiful. However, they won’t be buying it regularly or as often as consumable products. You will be required to constantly expand your customer base to consistently have people buying hair accessories from you. Another issue with this opportunity is that it is focused more on selling. This is actually a problem with MLM opportunities, as sales skills are one of the skills you will need in order to succeed. If you are someone with an aversion to selling, then this kind of opportunity is not really for you. Now that we know what Lilla Rose is and what it offers, it’s time to discuss what I like about this opportunity. The first thing that I like about Lilla Rose is that the products they offer are affordable and stylish. It’s really not that hard to sell the company’s products, considering a lot of people are very satisfied with them. Though they are more expensive than what you can usually buy in your local store, the stylishness and overall quality of the accessories is worth the money that you will pay. I also like that Lilla Rose’s compensation plan is very straightforward and easy to understand. Usually, MLM companies have a complicated and confusing compensation structure. 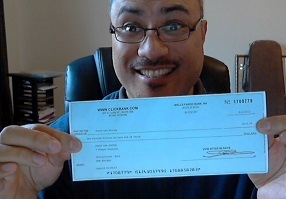 So it is great that this opportunity has a simple and easy to understand compensation plan. I also like that Lilla Rose offers an alternative opportunity to get discounts and earn free products. You don’t have to be a stylist to do this, as you can just be a host of a style up. You will just need to invite people to your home or to a function room and then invite a stylist to present the different products of the company and have the guests try them out. You get to earn freebies and discounts when the stylist is able to make a sale during the party. Of course, not everything is good with Lilla Rose, as there are also several things that I didn’t like about this opportunity. The first thing that I don’t like about Lilla Rose is that you will need to constantly expand your customer base to give yourself a chance to consistently earn money with this opportunity. Let’s face it, people won’t likely buy hair accessories from you on a weekly or even monthly basis. They will likely buy a bunch of accessories from you then buy again after a few months or longer. So you need to constantly have new customers to be able to consistently sell the products. Another thing that I don’t like about Lilla Rose is that the opportunity is only available in the U.S., this limits the people you can tap to be your customers and also the people you can recruit into the program. This also means that the market can easily be saturated since all stylists will be tapping the same market. Do I Recommend Lilla Rose? After learning more about Lilla Rose and what it can really bring to the table, I can say that this is an opportunity that is not really for everyone. Yes, the company is legit, the products are good, and the compensation plan is easy to understand. But this is still an MLM opportunity. If you are familiar with how MLM works, you know that making money with this kind of opportunity is not easy. Not only will you need sales skills, but you also need to have marketing and leadership skills as well. You also need to be good at motivating people to perform, especially when things become tough. Unless you possess all of these skills and combine them with a passion for the product or company and a determination to succeed no matter what it takes, you’ll have a hard time making decent money with MLM. You are better off looking for other better opportunities to make money that is also easier than MLM. SavvyConnect Review: A Legit Opportunity To Make Money Browsing The Net Or A Scam?